Indofood’s Indomie has come up with another interesting idea to spark the interest of millennials for its instant noodles. Now, Indomie is promoting something that is “gokil“, an Indonesian slang meaning “awesomely crazy”, by combining Indomie instant noodle with Indomilk, the milk brand of Indofood. 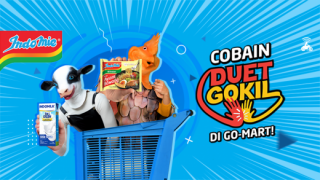 The Duet Gokil TVC features the iconic Indomie chicken from the brand’s vintage commercial and the cow from Indomilk creating a new dish that is creamy and unique – Indomie x Indomilk. 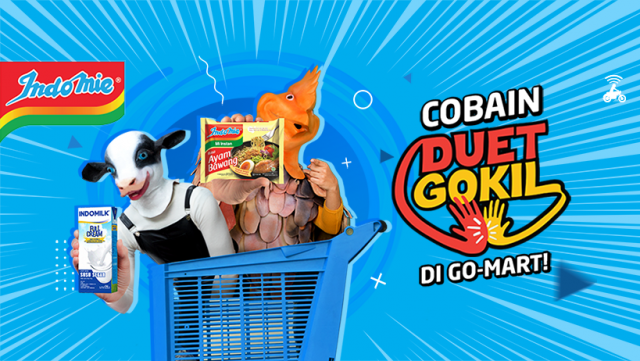 As a form of consumer interaction, Indomie eaters are invited to showcase their own Duet Gokil creations. The official recipe is available on this link. 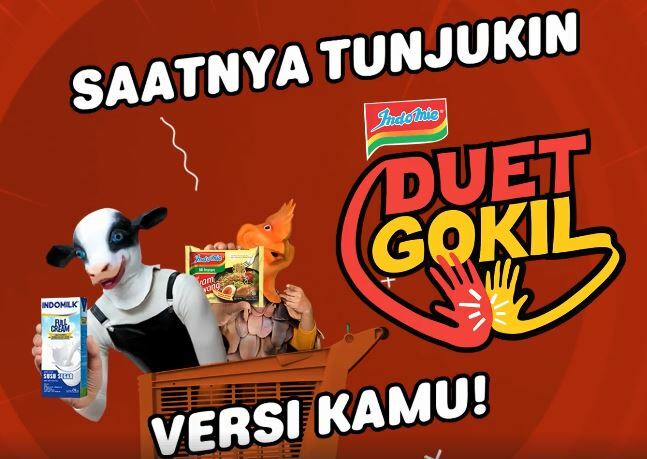 Indofood, Indonesia’s leading food and drink giant, is making full use of its range of popular food products and incorporating them into the Duet Gokil creation. The Indomie Rasa Kari Ayam (chicken curry) is a recipe that uses Indomie Kari Ayam instant noodle, Indomilk full cream milk, Indofood sambal hijau (green spicy sambal), Chitato potato crisps (original flavour) and 400ml of water as its key ingredients. As a celebration of the creativeness in using Indomie in food creation, Indofood offered up to 20% discount on special Indomie dishes from restaurants like Warunk Upnormal and Ropangyuk! when ordered on Go-Food, Indonesia’s biggest food delivery platform. These creative Indomie dishes such as Indomie Salted Egg, Indomie Sambal Matah and Indomei Kuah Susu are described as “HypeAbis” or totally hyped. The promotion lasted from 2-14 March 2018. Indomie has ingrained itself into the current Indonesian youth lifestyle who is always on the search for things that are now trending (kekinian). The instant noodle brand is seen not as just a staple, cheap and cheerful product but something that speaks the language of its young target consumers. Through supporting the creative use of Indomie to come up with new menu both at home and in foodservice, it has opened up another avenue for consumer engagement with the brand. 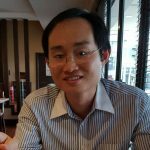 The instant noodle brand dares to do things other brands would not do and that is doing the “unexpected” such as featuring Indomie as a flavour in potato crisps and the recent suggestion of adding milk into instant noodle. All these marketing activities serve to help moderate the decline of the instant noodle market in Indonesia, which is already happening in other parts of the instant noodle-eating countries in Asia like China and Thailand.